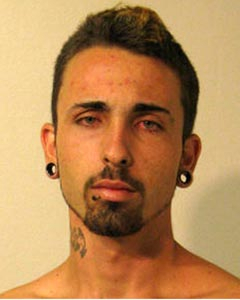 A Hilo man and his son have been arrested and charged with assorted offenses after being stopped in a stolen car. On December 9, a home on Kupukupu Street in Hilo was broken into and several items were stolen, including keys to a sports-utility vehicle, which also was taken. Wednesday afternoon (December 11), police officers stopped the stolen SUV on Highway 11. The driver, 37-year-old Tyson Prim, and his son, 18-year-old Kyson Dameron, both of Hilo, were arrested and taken to the Hilo police cellblock, while detectives from the Area I Criminal Investigations Section continued the investigation. On Thursday, detectives released Dameron pending further investigation. Immediately upon his release, South Hilo patrol officers arrested Dameron again on suspicion of fraudulent use of a credit card in an unrelated case. The card, along with jewelry and cash, had been taken during a burglary in the Waiākea area on December 2. 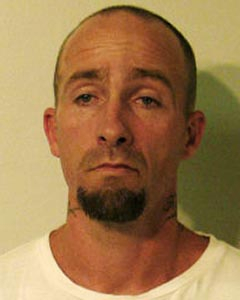 The stolen card had been used at various Hilo businesses 15 times between the time of the burglary and Dameron’s arrest. Friday morning, detectives from the Area I Criminal Investigations Section charged Prim with unauthorized control of a propelled vehicle. His bail was set at $10,000. He made his initial court appearance Friday afternoon. Later Friday, South Hilo Patrol officers charged Dameron with first-degree burglary, 16 counts of theft, eight counts of forgery, 15 counts of fraudulent use of a credit card and 15 counts of identity theft. He was also charged with two additional counts of first-degree burglary for break-ins in Waiākea on December 4 and December 10, during which a laptop, jewelry and cash were stolen. Dameron’s bail was set at $106,750. He remains at the cellblock pending his initial court appearance scheduled for Monday.